Getting your Stripe Orders into TaxJar is a simple process. From your Account -> Linked Accounts tab you can click the Connect to Stripe Relay button. By clicking this button you will be redirected to Stripe to approve the connection and grant TaxJar access to download your Stripe payment and order history. 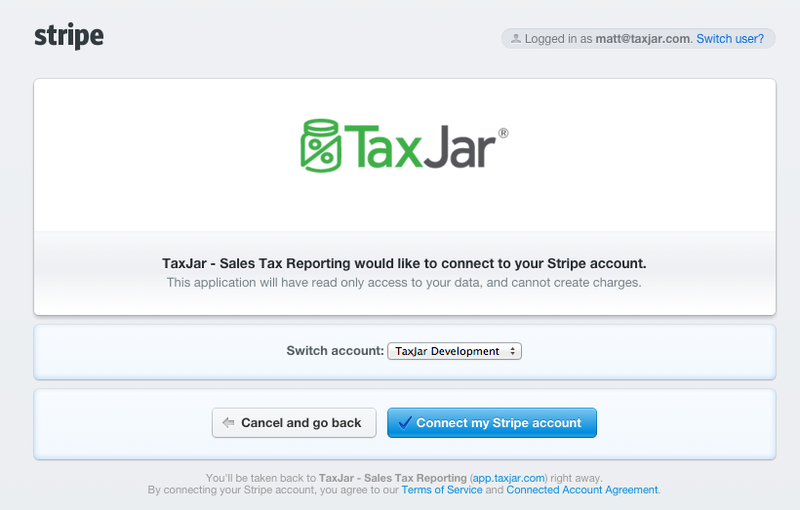 The TaxJar connection to Stripe will download only your Orders (often referred to as Stripe Relay) on a daily basis and use them along with any other channels you have connected to build your state sales tax summary reports for filing.